A former p-lab. Champagne. A musician’s dream. A vivacious entrepreneur living her fun-filled present. Last night was quite a night. Electrifying speaker Cath Vincent and musician husband Jesse Wilde hybridized their dreams to carve a creative music-T.V.-recording-business dojo from a central city (former) p-lab. Cath Vincent spoke at last night’s ‘do’, celebrating the opening of her and Jesse’s audacious dream – Studio 38. You want to follow the advice of people you admire, and I want to share a piece of Cath’s time management advice. Warning – this advice may lead to the fulfillment of impossible dreams. Cath shared how she found standard time management techniques didn’t work for her. She was stuck on 80% done. 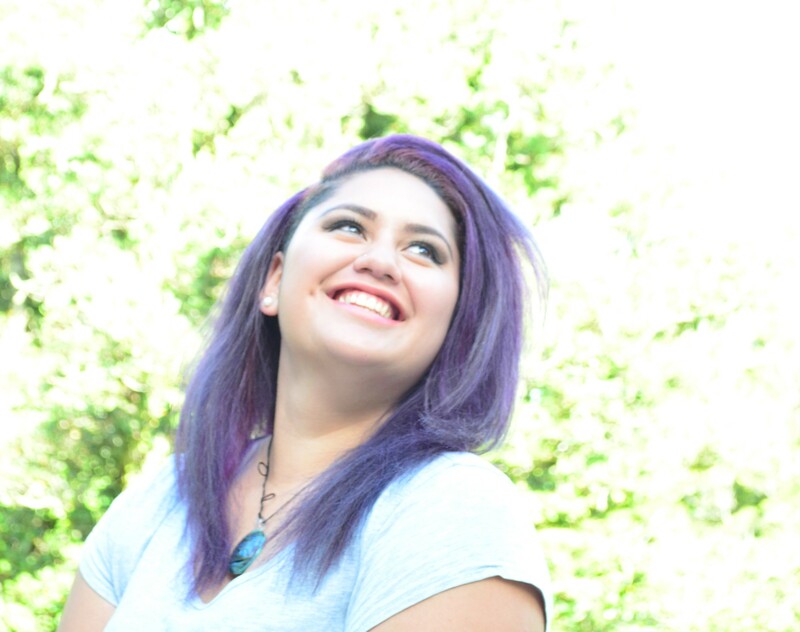 Her website, and so much else, was 80% done. 80% done is the same as 0% finished. Fortunately Cath Vincent isn’t the type to accept ill-fitting status quo time management. Fortunately she is the type to devise audacious time management techniques. And share them. An ‘eat the frog task’: do something important that you don’t want to do. With the guilt lifted, you’ll float away. Something that generates income: important. Something that progresses you towards an impossible fun-filled future: like starting a T.V. show. And she doesn’t go to bed until she has achieved at least these three things. And she has started her impossible T.V. show, soon to be filmed in the now glamorous, former p-lab. Cath Vincent didn’t know how she was going to start her T.V. show. She claims she still doesn’t know. But she’s doing it. Because every day she did one thing that – slowly but surely – turned an impossible into her possible. What icky but important frog will you eat today? What one thing will you do today to generate income? What one thing will you do today towards your impossibly audacious fun-filled future? My own answers to these questions will be in the comments section shortly. I hope your comments will join mine. In the meantime, go tick off those amphibious, income generating tasks for the future of your dreams. Comment below: I’d love hear about your frogs, income generating goals, and steps to an impossibly possible fun-filled future. I’ll put mine below within 24 hours. Subscribe: Click here to subscribe – get my latest articles on all sorts of things for an easier life (honestly, life doesn’t have to be this hard) PLUS you will receive a free pdf “How to get the mind-focusing effects of Ritalin – without taking the drug” – It contains a step by step description of the deceptively simple psychological strategy that took me from uni dropout to Ph.D. It is the single most effective psychological method for beating procrastination. Be a hero the easy way! If you found this article mildly interesting/slightly funny/quite moving/not too boring, then others will too. Please share the love on Facebook, LinkedIn, Google+, and/or Twitter, using the social media buttons above and below this post. 1. Immediate income: I will send out an invoice in the next 5 minutes. PLUS next week I’ll complete the last of a body of consultancy work which I can then invoice for. 2. Eating the frog – I cover this in both points 1 & 3. 3. 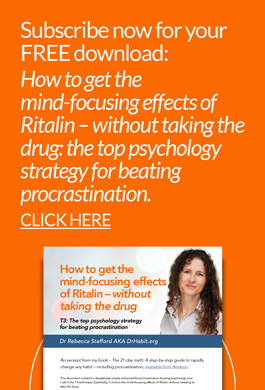 Towards my audacious goals – a/ By end of next fortnight (26th May 2017) I’ll have my 1st EDM’s away AND have my free subscription incentive available for download (“How to get the mind-focusing effects of Ritalin – without taking the drug” – the top psychological strategy for beating procrastination”). 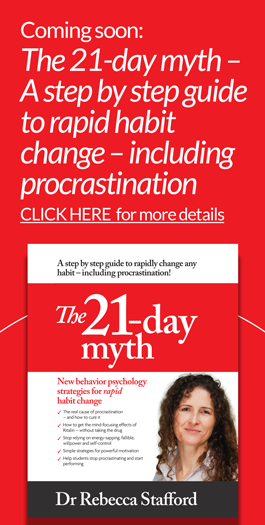 PLUS my e-book “The 21 day myth: Changing habits in under a week – including procrastination” will be launched on 1st July 2017. It will be the quietest launch ever, so please don’t tell anyone. Feel like some public accountability to firm your resolve? Your goals are…?